Looking to keep your pup warm in the winter? Just because your dog has a fur coat doesn’t mean they can’t get cold. When temperatures plummet, your furry friend might need an extra layer of warmth and protection, just like their owner. Depending on your dog’s breed makeup, they may be more susceptible to cold temperatures. Small dogs tend to have thinner coats and can get pretty chilly in the cold (e.g. Terriers, Chihuahuas). Some bigger breeds with thin coats may shiver when the temps drop too (e.g. Greyhounds, Whippets). But, if your dog comes from a heritage further from the equator, they have a double coat or undercoat and are comfortable with colder weather (e.g. Huskys, Saint Bernards). Dog boots are meant to help with traction, weather, allergies and lawn care chemicals. The boots will help keep your dog’s paws safe from these elements but still allow him to walk and enjoy the outdoors. 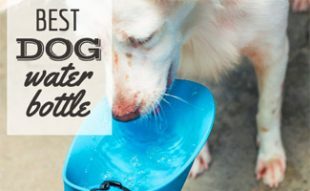 Your dog may walk a little funny at first. This is completely normal. It will take some adjusting, but soon he will love his new accessories. Each company suggests a certain way to measure your dog’s paws. So be sure to see what they recommend and follow the instructions accordingly, so you purchase the proper fit. Buying the wrong size could make the boots not fit and if they’re too small, your dog could suffer damage to his paw. 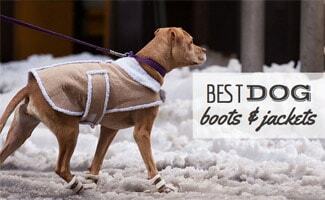 We’ve reviewed three of the best-selling dog boots that have received great reviews. We’ve done the research and are sharing with you why there’ a good solution to protect your pup’s paws. These dog boots come in four packs in five different sizes and possibly more. One owner ordered the largest size, and they didn’t fit his 140 pound Doberman, so the company offered to make a custom pair for the dog. The shoes worked great, and the pup and owner were pleased. The boots have great traction and work well in all-weather conditions. We are very impressed with these boots, and that’s why we’ve chosen them as the best dog boots for snow and best dog rain boots. These boots come in a four-pack and are available in six sizes in either red or black. The sides of the boots expand to make it easy to put the boots on your dog’s paws but difficult for them to slip off. The boots have velcro straps to fasten them in place. These are also great boots for older dogs who need more traction on tile and hardwood floors (or young pups who are in their clumsy stage). The important thing is to make sure you measure your dog’s paws correctly because if they’re too big or too small they won’t go on the paws or they’ll slip off. These are also great dog boots for winter, rain, etc. Pawz waterproof dog boots come in eight sizes and are biodegradable. What exactly does that mean? 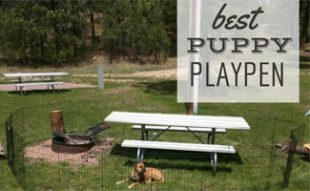 Well, it means your dog can wear the boots multiple times, but they won’t last as long as the #1 and #2 picks in this article. Twelve Pawz come in each package, so your dog has more than enough pairs to last him (unless he’s got 12 legs!). The boots look like balloons and have no zippers or straps, so it’s important you purchase the proper size, so they fit your dog appropriately. 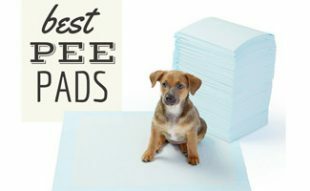 They don’t have any padding, allowing your dog to feel the ground. This may be a pro to some and a con to others depending on whether you want your dog to have padding or not. Overall, there are just too many warning signs with these boots, and we don’t feel comfortable recommending them. So far we only have one review for dog sweaters. If you have suggestions on others that we should review, please feel free to mention it to us! PanDaDa makes sweaters for dogs in six different sizes and four different patterns. Be sure to measure your dog properly though, because these sizes run pretty small. Unfortunately, you probably won’t be able to fit your large breed dog into one of these. However, you typically see sweaters on smaller dogs, so this is great for those of you with small breeds. Watch Lily and Bella play around in the snow and the cold not affect them one bit, thanks to a cute and comfy little doggie jacket! Be cautious when choosing your coat to make sure it is made of machine-washable materials that don’t irritate your dog’s skin or cause an allergic reaction. We also recommend minimizing the buttons, zippers and other adornments to minimize and choking hazards or risk of getting caught on something. Lastly, use common sense and don’t leave it on for more than 20 minutes or so at a time to avoid the risk of overheating. We’ve reviewed two popular winter coats for dogs and have some thoughts on both. Find out which one we like best. Kurgo Loft winter dog coats come in five different sizes. The jackets are waterproof and machine washable, so if your dog gets into some mud (which we all know they do), then you can easily clean it without a hassle. 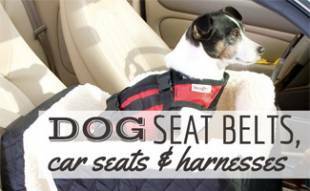 The coat is also reversible, and it’s easy to use with a harness or leash. Overall, customers are fairly pleased with this winter dog coat, and we feel comfortable recommending it. These fleece dog winter coats are available in four sizes and are faux suede with fleece lining to make the coat soft and cozy. There is a belly strap to adjust the fit of the coat on your dog. It both machine washable and clothes dryer safe, so it’s easy to clean. This is a rather affordable coat, and some customers have been frustrated with it being “cheaply made” but just remember, you often get what you pay for. Some people may think considering whether dogs need clothes in winter seems trivial, but depending on the thickness of your dog’s coat and the severity of your winter temperatures, it could be a real necessity when you take your pup outdoors. Will your dog wear boots or a coat?